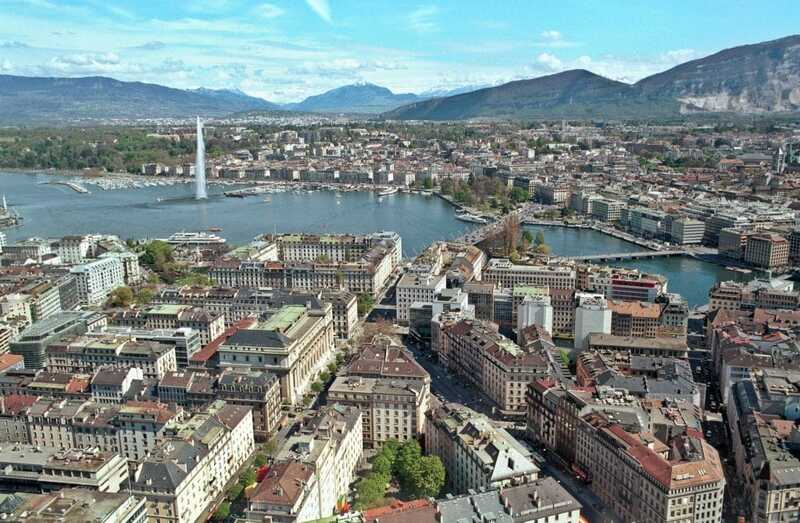 Luxury residential property prices have been slowing in Geneva in recent years and are expected to rise moderately in 2019, by around 1%, according to a study by the Naef Prestige Knight Frank network. Generally speaking, the City of Calvin remains prized by the very rich but is increasingly competing with the Waldensian shore of Lake Geneva. The relatively modest prospects for global economic growth in 2019 will have an impact on real estate, notes the “Wealth Report” by Knight Frank, world leader in the luxury real estate market, presented Tuesday in Geneva with its partner Naef Prestige. The Lake Geneva region is not spared, but in a differentiated way. 118 “premium” transactions of villas and apartments (selling prices exceeding 4 million Swiss francs) were recorded in the canton of Geneva in 2018, Naef Prestige’s director Etienne Nagy said. The average price of objects has been declining since the peak of 2012. Competition is increasing, both internationally and from the Lausanne region, which is very attractive because of the presence of international universities and EPFL, which attract expatriates,” said Mr Nagy, adding that only three properties worth more than 20 million Swiss francs were sold in Geneva in 2018, while the Vaud side of the river was selling for over 70 million. “We do not believe that prices will increase significantly in the future in Geneva,” said Jacques Emery of Naef Prestige Knight Frank, adding that Knight Frank’s Prime International Residential Index (Piri), which measures the performance of the sector in about 100 cities, supports these observations. For 2018, it reports an overall global average price increase of 1.3% (the lowest rate in six years), but a decline in Switzerland: prices fell by 2% in Geneva, 1% in Zurich and 7.5% in St. Moritz. Conversely, they increased in Manila (+11.1%), Edinburgh (+10.6%), Berlin (+10.5%) or Munich (+10%). Generally speaking, a convergence of luxury prices is observed between the different places on a global scale, but Geneva remains one of the most expensive cities in the world for the price per square metre. With one million dollars, it is possible to acquire an average of 41 square metres, compared to 48 in Zurich and 55 in Lausanne. In Monaco, the most expensive city, you can only buy 16 square metres for this amount. In 2019, “prestige residential” prices are expected to fall in several megacities (Buenos Aires, Dubai, Hong Kong, Mumbai, Shanghai), while they are expected to remain stable in New York and Singapore. Geneva, with +1%, will record a limited increase, quite far from those of Madrid, Berlin, Paris or Cape Town (+6%). The completion, at the end of 2019, of the Ceva rail link should support the sector on the Geneva side. Switzerland also still has a record concentration of wealthy people (as a proportion of the population) and ranks 8th in the world in absolute terms. At the end of 2018, the country hosted a total of 331,686 millionaires – more than in India -, surpassed only in absolute terms by the United States, Japan, China, Germany, Great Britain, Canada and France, in that order. Every day, Switzerland produces 44 new millionaires and ranks 7th in terms of the ultra-rich or “UHNWI”, i.e. people with a disposable income of more than 30 million dollars: 4768 inhabitants belong to this category (+149 in one year), also a world record in terms of density. As a proportion of the population, Geneva has the highest rate of ultra-rich people (1344 people) in the world after Monaco, but the country should lose places in the coming years. By 2023, the number of ultra-rich people is expected to increase by 20% in Switzerland, compared to 24% in France, 27% in Germany and Hong Kong, 35% in China, 39% in India, 24% in Kenya, 38% in the Philippines and 25% in Sweden. For these people, luxury real estate remains a “safe haven” in turbulent times.